Spring is one of the most popular times of the year to sell your home. Your house might be less cluttered after your traditional Spring Cleaning mission, early Spring flowers begin to bloom which enhances curb appeal, and you can close the sale of your house in time for the new buyers to enjoy the summer months at the Jersey Shore. If your home has a pool, this is an added incentive to finalize that summer sale. However, you are not the only one with the idea of a Spring listing, which means a competitive selling market. If you live in a condo or townhouse, there is the additional obstacle of single family homes appealing to a broader market. Another concern is the associate dues a buyer needs to calculate in their monthly finance budget. So, how do you stand out from all of the other townhouses in your complex? Since there are many exterior restrictions, your renovation ideas will have to stay inside. As a realtor with the family business, A.J. Dell’Omo, Inc., Realtors, I have attended many open houses in townhouse communities in Monmouth and Ocean Counties and I have seen some amazing transformations with professional interior designs. However, one space that is often neglected is the garage. Don’t forget this is functional space, which could mean money in your pocket. 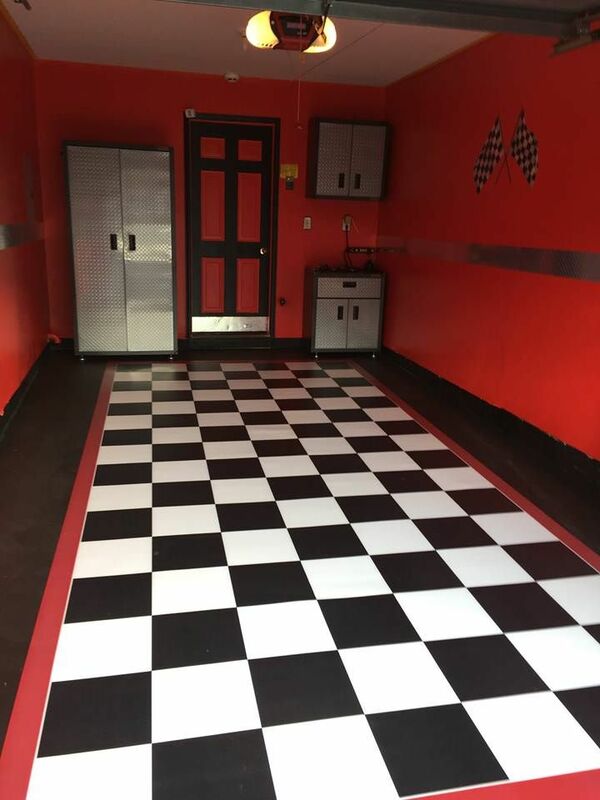 Organized storage spaces, work-table with a bench and proper lighting are more appealing than treating your garage as the space to keep the garbage cans. I selected a theme before I took on the DIY renovation project and I can guarantee nobody in my complex has the same one. This is truly one of a kind!